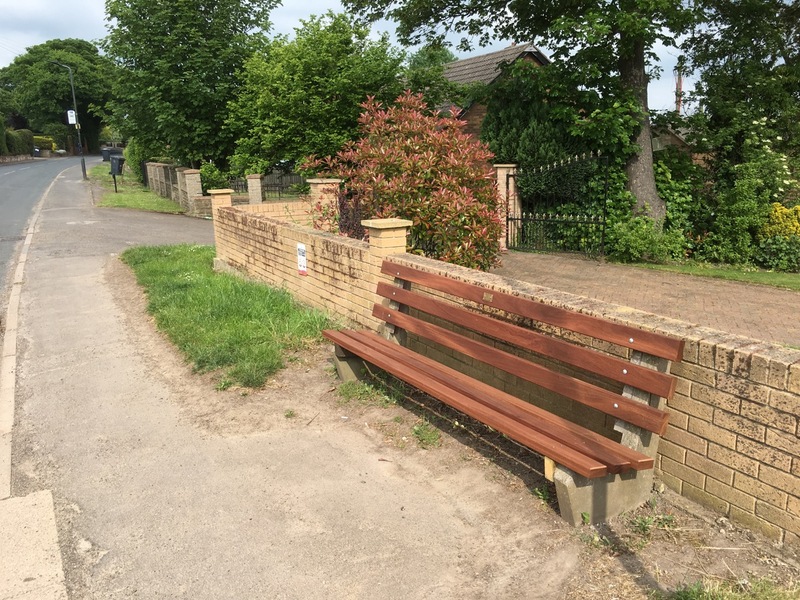 The eagle-eyed among you will have noticed we have a shiny new seat on Grange Lane, adjacent to the Bridle Path. Some time ago it was decided a memorial to Kath Walters, ex Chair person of the parish Council should be installed. Kath was a keen dog lover and would be frequently seen walking along Grange Lane with her dogs before turning down Stoney Croft bridle path. It was a fitting location to remember Kath and in association with the DMBC the existing seat was completely refurbished, and a brass plaque added. Burghwallis has a lot to thank Kath for and the seat is an ideal location to sit and reflect awhile on the driving force that was Kath Walters.